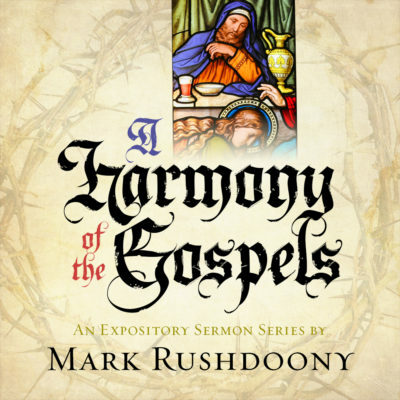 The four Gospels contain so much that they tend to be studied, discussed, and preached as many independent teachings, as "sound bites" from God. If they are studied piecemeal, however, the context is often lost. More importantly, the relation of one set of events or teachings to those which either precede or follow is then lost. Without the flow of the history of the ministry of Christ, the questions to Christ and his responses can seem abstract and "spiritual" when they, in fact, were about practical, real life issues. In a chronological approach, the flow of history unfolds. The ministry of Jesus can be seen in the context of a discouraged people under Roman rule, eager to hear John, then Jesus, and excited about His miracles, but unwilling to commit to Him as the Messiah when the religious officials find an effective talking point in calling Jesus' power Satanic. We see the condemnation of these men increase in the last six months, until their indignation culminates and their long-term efforts to destroy Jesus seem to have success in His crucifixion. Yet all the while, Jesus has been proclaiming the end of the old Kingdom of Israel model in favor of the new Kingdom of Heaven. That watershed event, proclaimed by our Lord, became evident to all in A.D. 70, a judgment intimated by Jesus numerous times. The book of Acts then relates the new congregation or assembly, the ecclesia (church) of God and the progress of His Kingdom. The Holy Spirit, the "Finger of God"